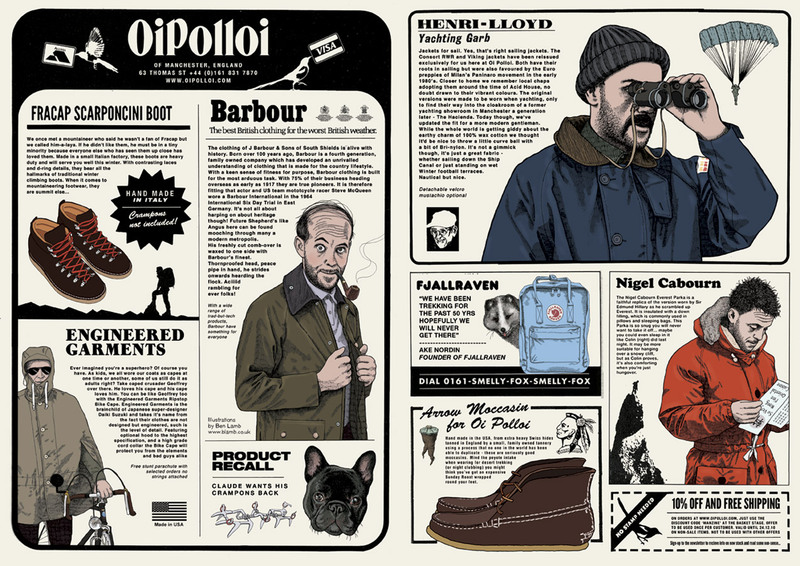 This is a piece I did for the good people at Oi Polloi. 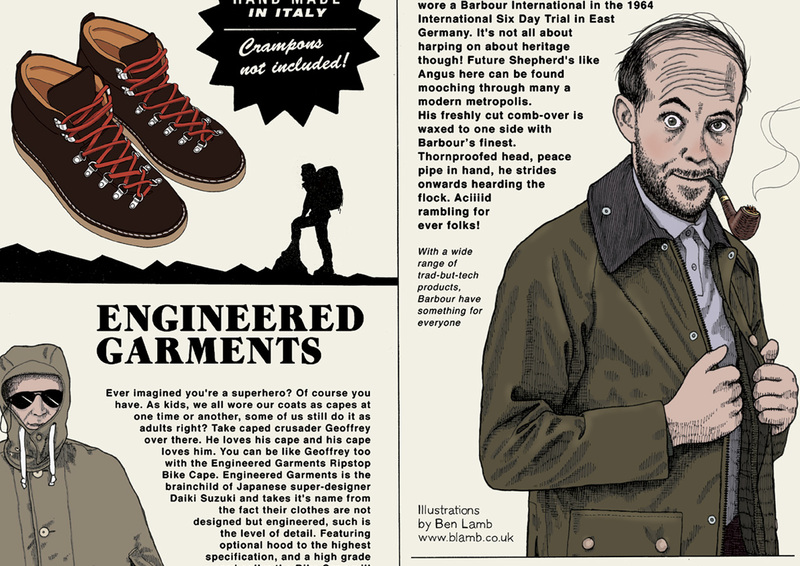 It appeared in issue 4 of Manzine: a top notch and highly original publication about 'the male phenomenon'. The ad is a gentle pastiche of ads found in outdoor pursuit magazines of the 70's. Oi Polloi stocks a lot of gear designed and intended for sailing and mountain climbing etc, but does modern man ever get his hands that dirty we wonder? A truly fun job to work on with excellent art direction and collaboration from my good friend Eoin MacManus.